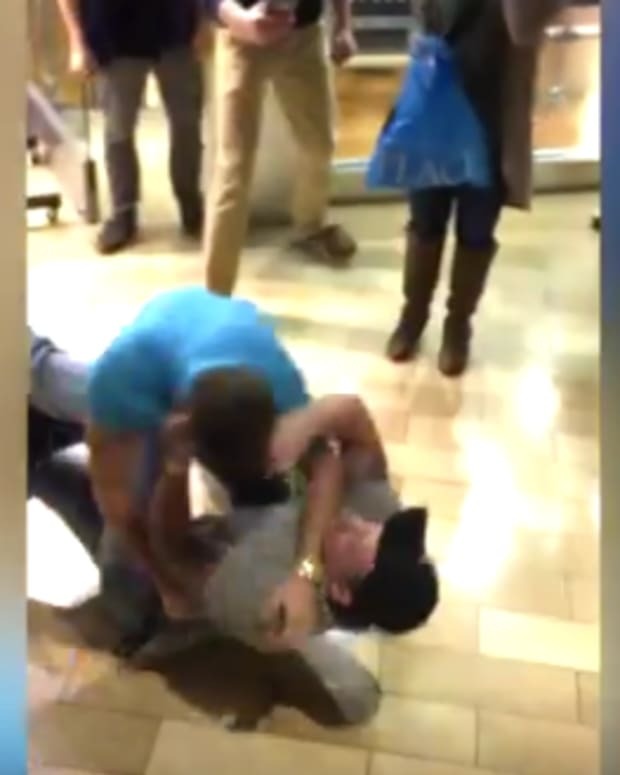 Black Friday always promises great sales, and fights between customers (video below). 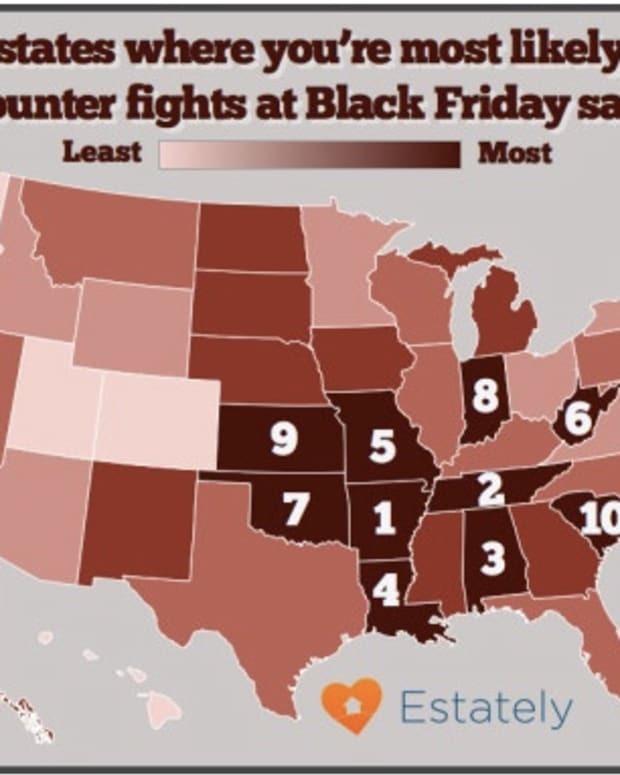 The website Estately came out with a report on Nov. 23 that ranks the states where Black Friday battles are most likely to happen. Estately calculated its numbers by tracking Facebook users&apos; interest in Black Friday sales, and the FBI&apos;s stats on the frequency of aggravated assaults. 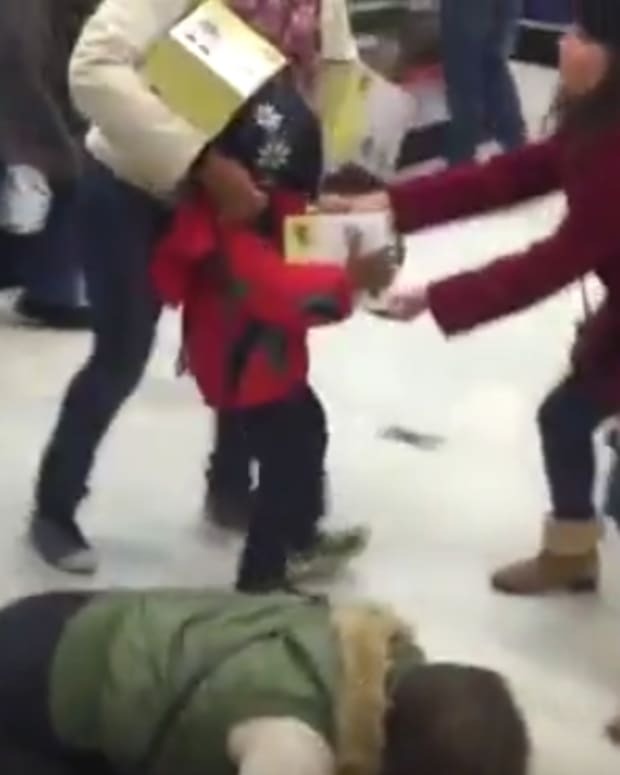 The report found that the top ten most dangerous states for Black Friday include: Arkansas, Tennessee, Alabama, Louisiana, Missouri, West Virginia, Oklahoma, Indiana, Kansas and South Carolina. For one family in New York, Black Friday is a grim reminder of the death of Jdimytai Damour who was trampled to death by shoppers at a Walmart in Long Island in 2008. “It’s very difficult to cope," Jdimytai&apos;s cousin, Ralph Damour, told the New York Daily News. "I never shop on Black Friday. That would be dishonoring his memory." “He was a young man full of life — and suddenly it was taken by people being greedy for stuff on sale,” Ralph added. "It never should have happened." A Walmart supervisor called the Nassau County Police Department three hours before Jdimytai was killed. 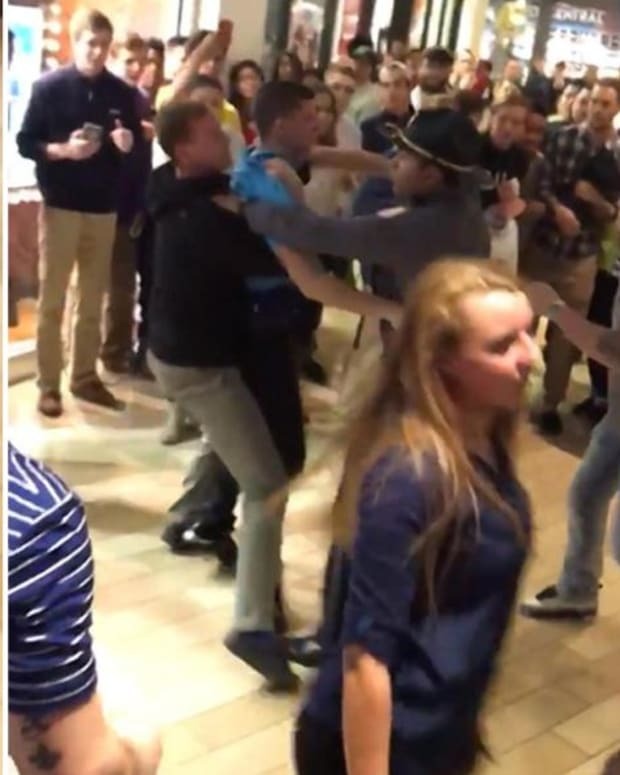 Police showed up and ordered the crowd of 2,000 back, but then left because dealing with the mob of shoppers was "not in their job description," according to court papers. When the crowd surged again, the supervisor told large employees, including Jdimytai, to guard the store&apos;s sliding-glass doors. 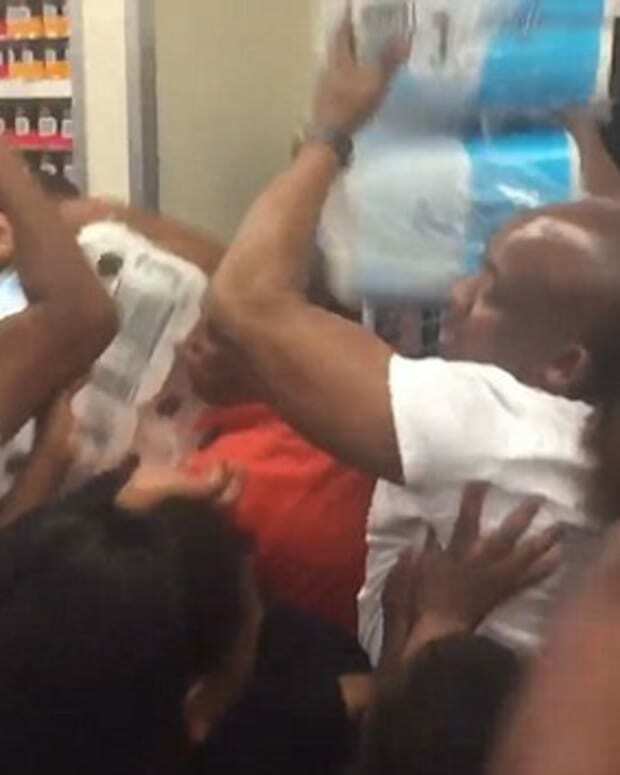 However, the crowd pushed the front doors down on top of the 34-year-old overnight stock clerk at 5:00 a.m. When it appeared that Walmart might be charged with crimes, the multi-billion dollar company paid out almost $2 million to settle the case with Nassau County.